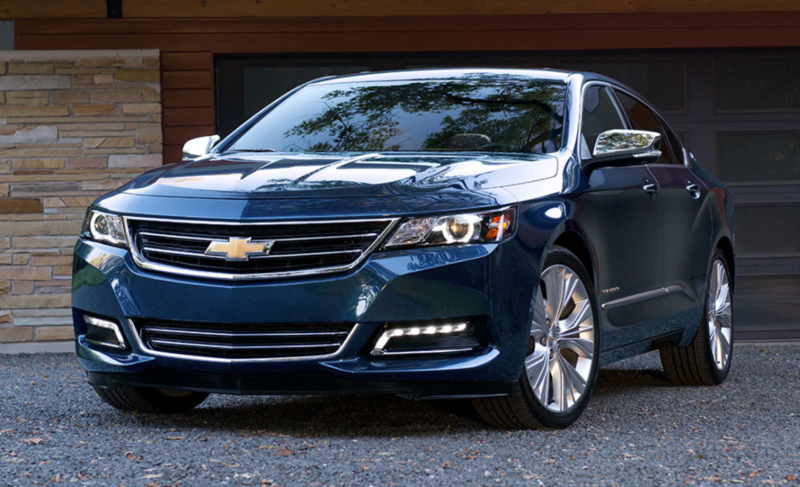 One rung above the midsize Chevrolet Malibu in Chevy’s lineup you’ll find the full-size 2018 Chevrolet Impala. Offering more space and features, it has stretch-out space front and rear and its long wheelbase allows for a smoother ride than those found in the midsize class. It’s an ideal road trip car. Prices start at an MSRP of $27,895. What You Should Know: Although the Chevy Impala has all the basics covered, for shoppers seeking a bit more bling and opulence, check out its platform mate, the Buick LaCrosse. Coolest Feature: Available 3.6L V-6 engine has 305 horsepower and delivers smooth power and decent efficiency. Summary: The Chevrolet Malibu is a high competent full-size sedan. With it’s massive passenger compartment, it is a high-value choice that can cost less than some midsize offerings if smartly optioned. Did You Know? Chevrolet’s Impala nameplate dates all the way back to 1958.